From destination weddings in the Dominican Republic to all inclusive getaways in Jamaica, I will make sure every travel detail is taken care of so you can focus on sun, sand and a cocktail in your hand! With more than 30 years dedicated to the travel industry, I can tell you from first-hand experience the best destinations, resorts, restaurants, and more to make sure that your trip is truly unforgettable. In my time as a travel agent I have become a romance travel expert. Booking destination weddings, honeymoons, and anniversary trips has truly become a highlight of working with my clients. Read more from my Romance Travel Professional bio. Looking back, I have visited Jamaica at least 20 times over the last few years. If you’re hoping to visit this slice of paradise in the Caribbean one day, I am your ultimate travel expert. Read more from my All Things Jamaica bio. As a travel agent, I have planned a number of destination weddings. One of my preferred locations to recommend is the Moon Palace in Cancun, Mexico. 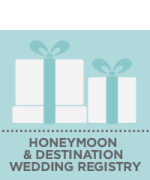 If you’re considering a destination wedding, let this be your guide. Read more from my Married In Mexico bio. Los Cabos is one of those spectacular destinations I always return to. In my opinion, nothing beats this tropical paradise just south of the border. Read more from my Los Cabos Vacations bio. Fun, last minute getaway with my son! It was quick, easy and everything was taken care of. I realized though, that I should’ve been more clear as to type of vehicle I wanted to rent, and quality of place I wanted to stay. She definitely made it VERY affordable though and I will absolutely use her next time I book a trip. We have scheduled most of our travel, business and pleasure with Beth over the past 25 years. Having been in more than 25 countries we have yet to experience any disappointments with the arrangements she has made for us. She knows how to save money and yet she understands the exact ways and places we prefer. Her advice is always been right on the mark, fairly priced and of great value. Very responsive to questions / requests. Friendly and helpful offering advice for making the trip the best possible. Absolutely through and a delight to work with!